Reblogged from the new Australian Women Writers website. In 2014, the Australian Women Writers challenge attracted 1578 reviews of books by Australian women (and there may be more to come). That’s a fantastic achievement and I want to thank you all – readers, bloggers, writers and the AWW team volunteers. As you probably know, the AWW challenge was established at the end of 2011 in response to discussions about gender bias in the reviewing of books by women. (If you’re new to the challenge, you can read more here.) Although I ran the challenge for the first year, it has always been a team effort, with the real work being done by the many book bloggers – mostly women and a few men – who for the past three years have been reading and reviewing books by Australian women. We have posted our reviews on blogs, Goodreads and other platforms; chatted about them on Twitter and Facebook; talked about the challenge at festivals; seen it mentioned on writers’ centre websites and in mainstream media; and we’ve encouraged others to join us – both as participants and as volunteers to help run the challenge websites. Behind the scenes, the AWW team has been posting regular round-ups of the reviews linked to the challenge, updating the database with images of book covers, and checking links entered in the “Link Your Review” form. In my case, as well as contributing to the above tasks, I’ve tried to read posts by challenge participants, responding sometimes with a “like”, sometimes with a comment. Via Twitter, I’ve broadcast reviews of participants who tweet including “@auswomenwriters” or the challenge hashtag, and I’ve kept an eye on the AWW Facebook page. As much work as this involves, I know there are many reviews I haven’t read or responded to, and I feel I’ve done comparatively little to show challenge participants how much their efforts are appreciated. At least one person I know, an early member of the challenge, didn’t sign up this year after noticing their “likes” and “comments” on their reviews on Goodreads had dropped off. This signals to me the importance of continuing to invite others to help build a community of readers, and show participants just how much their reviews are contributing to something bigger. This year saw the #readwomen2014 campaign on Twitter, a global movement with similar aims to the AWW challenge. It was a great success, but ongoing work is still needed. Both VIDA and the Stella Award published counts of reviews in literary journals during 2013. The counts demonstrate that the number of reviews of books by women continues to lag behind the number of reviews of books by men. We won’t know the count for 2014 until next year – and hopefully there’ll be an improvement. But whatever it is, we can be confident that we’re doing our bit to help raise the profile of this important issue. Let’s not even go down the track of discussing the gender pay gap, statistics on violence towards women, the decreasing number of female CEOs and parliamentary ministers, or how the lack of acknowledgement of women’s achievements generally may help to perpetuate entrenched injustices. Let’s focus on the writers. The AustLit account on Twitter recently noted that its database has entries for 38 500 individual Australian women writers. (There are probably more, but some women aren’t identified as they published using initials.) But how many of those have you heard of? How many have you read? This morning, I was trawling through Librivox and Project Gutenberg Australia for free audio and ebooks of out-of-copyright books by Australian women. Just a quick glance at the lists makes it obvious how few books there are by women in comparison to books by men. If we want the voices of Australian women of the twenty-first century to go down in history, the work starts now, with us. Without records, without evidence books by Australian women are being read and appreciated, historians of the future may think they weren’t good enough to be remembered, when clearly this isn’t true. 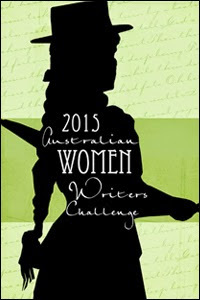 The AWW Challenge will continue in 2015, with the aim of continuing to promote and support books by Australian women. Until now, we’ve had two websites, one for the blog and one for the review lists (or three, if you count the AWW Challenge Goodreads page). The new site is a work in progress, but it will have a searchable database, making it easier for readers to find participants’ reviews. My hope is readers – librarians, teachers, bloggers, writers and researchers – will follow the links and show appreciation by “liking” or commenting on the reviews of the books they discover. This will help consolidate and grow the AWW reading community. I’d also encourage people to subscribe to the AWW blog via email (see side bar) and discuss their reading on social media using the challenge hashtag: #aww2015. If you have any other ideas how we can raise the profile of Australian women writers, or if you’d like to volunteer to help behind the scenes or contribute to the AWW blog, please let me know. So, who’s in for 2015? You can sign up here. Twice in the past month I’ve heard writers criticise reviewers for not writing proper reviews. “Some reviewers take a book and use it as a launching pad to write whatever they want,” one complained over lunch. A day or so later, someone emailed me with a list of questions about the current state of on- and off-line reviewing. As I thought about what to answer, I realised one of the aspects I enjoy most about writing reviews online is the freedom to write what I want about a book. I like to write reflections, discussions, musings – and I like to read them, too. I like it when a reviewer gets personal, when s/he admits to feeling provoked, challenged, crushed and remade by a book. Or awed. Or speechless. Or bored. But are such pieces reviews? This question has been bugging me, and might account for why I’ve been reading far more than I’ve been posting reviews lately (or writing). The truth is, I’m not sure I want to write “reviews”. Instead, I want to share my experience. 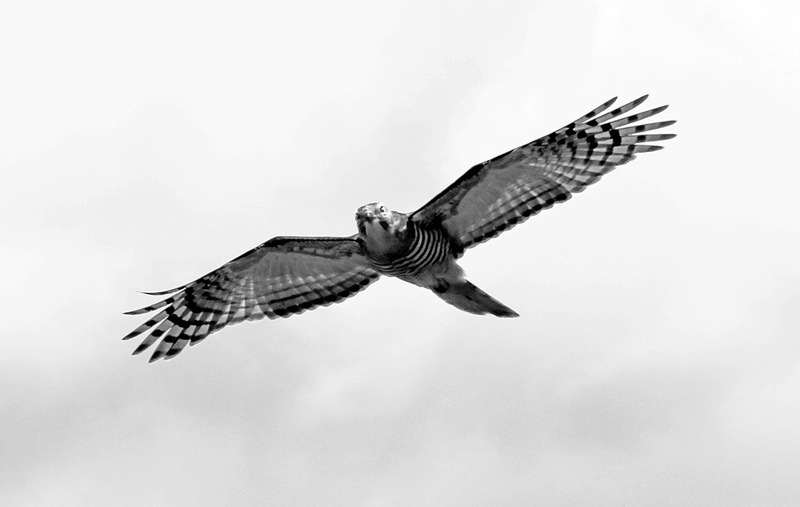 I want to give you a glimpse of how I’ve allowed some books to nest inside me, to brood until something cracks, until I feel a stab that tells me: yes, this book has life; this book will take flight in words, inspired-by-this-author musings – or fall, silent. Whether others catch a glimpse of those words once they’re out and away, whether my impressions flash bright and beautiful, flicker in the shadows or hide invisible, doesn’t matter. The book lives on because it’s helped make me who I am. So forgive my silence while words brood. Do you have books with wings?